I have been enjoying these three Vintage Zodiac Pandas recently. 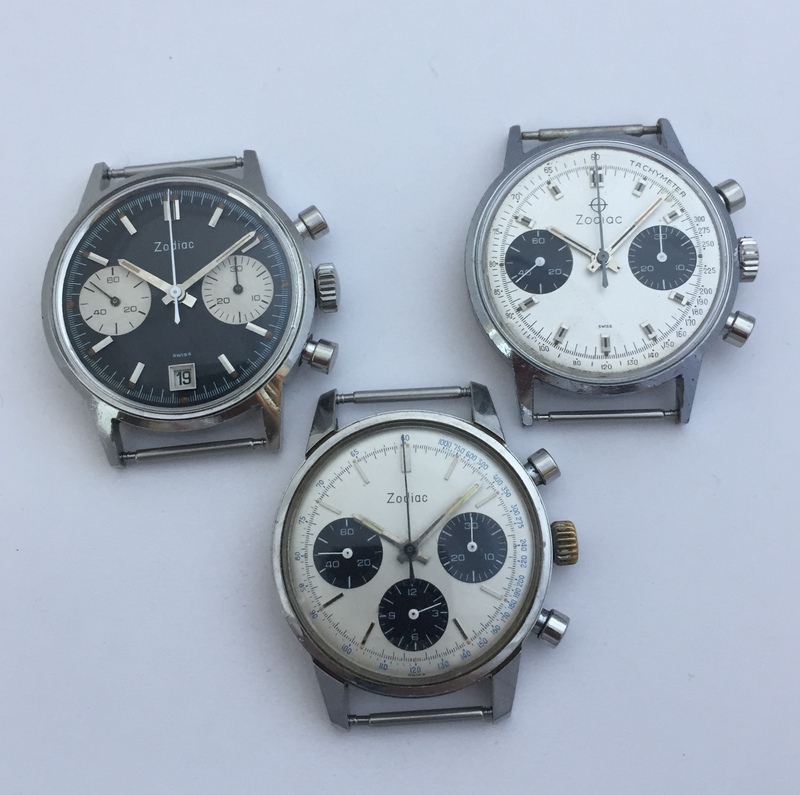 Clockwise from top left there is a Valjoux 7734, Valjoux 7733 and Valjoux 72. All three are stunning. Top right would be my favourite. Thanks Alex, that’s a very kind offer . Btw, for anyone here who likes the hand-winding chrono Valjoux 7734, it is technically still in production as the Russian-made Poljot Cal. 3133. I doubt it would continue to be for long, so grab one now while you can. Space-flight pedigree gets thrown in for free... Not so fortunate with the 72, so Alex definitely has a reason for wanting it.